June 22, 2015 janellaa6 Comments on The Dark Days Are Over—It’s Mah Birthday! The Dark Days Are Over—It’s Mah Birthday! Welp, it’s been QUITE a while—mostly because of this funny-not-so-funny story: I’ve been recovering from a pretty bad eye infection for a little more than a week, which was seriously the WORST. I felt like a vampire for the majority of the time since I couldn’t be anywhere near the sun or bright lighting, and the worst of it was I could hardly read a single word from a book or any sort of screen. Thus, I was on a forced break from my computer and books, which meant I was suffering SEVERE withdrawals from my work and anything having to do with words. Oh boy, those days were dark. On the upside, I was able to finish Outlander season 1 (HOLY CRAP SO INTENSE). On a bigger upside, I’ve been on the mend, been slowly able to read more books, and now, I’m well enough that my computer and I are happily back together. And what better way to celebrate my official return back to the world of blogging than on my birthday!!!!! Reading Things: GUYS, I’VE BEEN READING. I feel like I’m always making promises to read more since pirate fantasy seems to be taking over my life (in a good way), but one blessing about the cursed eye infection was that I got to read some good ol’ books while I was woefully separated from my computer. My most recent reads were Red Queen by Victoria Aveyard, Dark Descendant by Jenna Black, White Hot Kiss by Jennifer L. Armentrout, and Ugly Love by Colleen Hoover. It was a cool variety which certainly helped me in getting over my reading slump! I’m determined to get through a lot more because it’s embarrassing how very little book posts I’ve made compared to my television ones . . . Watching Things: So, as mentioned, I finished the first season of Outlander (now I’ve got to tackle that book . . .) and have kept up with my Avatar obsession (I’m reallllly stretching out season 3 because I don’t want it to end!). Some new additions to the television mix are UnREAL (such a dark and fantastic take on the behind-the-scenes aspect of shows like the Bachelor—naturally, I’m obsessed) and the new season of Orange Is the New Black (one of the crown jewels of Netflix). But, aside from television, I watched Jurassic World and thought it was AWESOME and such a fun! Sure there was a ton more violence than in JP, but with our current audience who loves the actions and thrills, I’m not entirely surprised by its direction. Still, it was super entertaining, pumped with nostalgia, and I absolutely LOVED Chris Pratt’s character *heart eyes*. Also watched Inside Out yesterday which seriously punched me hard in the feels. I’m pretty sure I cried throughout the whole movie because I’m that movie-watcher. But overall, it was so clever, well-planned, and beautifully done. Music Things: Oh boy, in the spirit of more crying and Disney, here is the song from the Pixar short film before Inside Out which was so sweet, poignant, and naturally drove me to tears all throughout. Another Disney track I’m currently obsessed with is the “Transformation/Finale” from Beauty and the Beast, which goes from heart-achingly sad in the beginning to gorgeously triumphant by the end. Of course, tears all the way through. Hmmm… I’ve been wanting to watch Outlander *adds to ever-growing list*. And OH I’ve totally been watching the Beauty and the Beast transformation scene! HA, it’s awesome!! Outlander is AMAZING!! If you’re still doing your break/recharge totally check it out–you will fall in love! And oh my goodness, that transformation scene seriously gets me in the feels every time . . .
Omg Janella you’re a genius why did I not think of listening to the beauty and the beast soundtrack earlier?? Definitely doing that today 🙂 not like I already have bonjour on my phone in two languages or anything…..
Ah yes, the cursed eye is doing well! 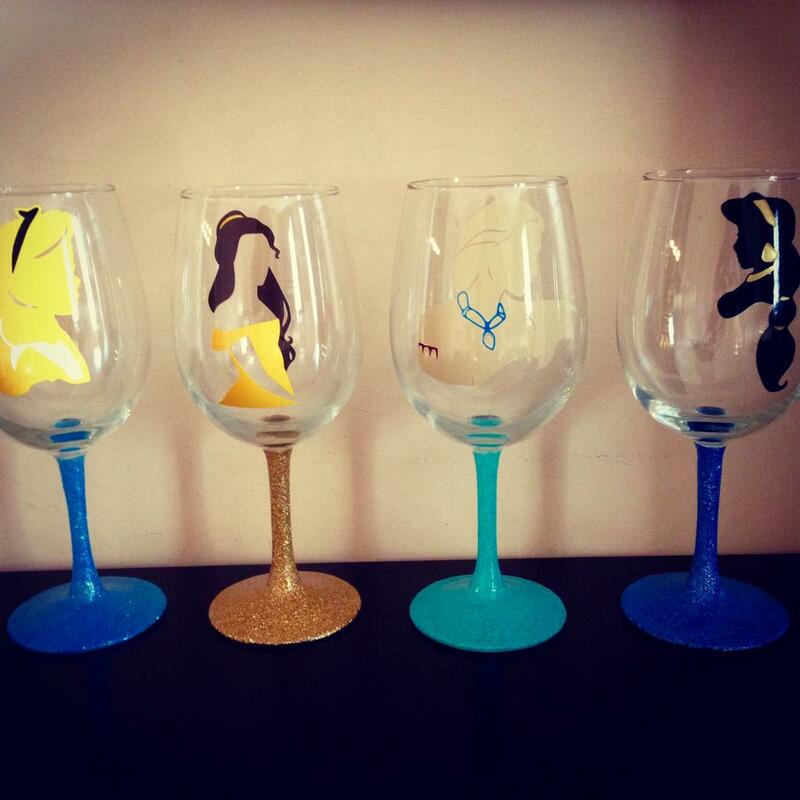 We must celebrate over a Disney princess wine party for sure!!! Awwww I know this is late and we already had our moment of trio sync over beauty and beast but it’s always having a nice reminder of our hilarious Skype dates. So jealous you both get to HANG OUT and I’m stuck all by myself on the other coast!!! But have the funnest time! Also how sad is it that I have yet to watch Inside Out but I already practically have the Lava song memorized…..
Ughhh, it’s not too late to book a flight to the east coast/sneak into Maddy’s luggage 😉 We’ll miss your presence—we can most definitely do a Skype date so it feels like we’re all together again!! !